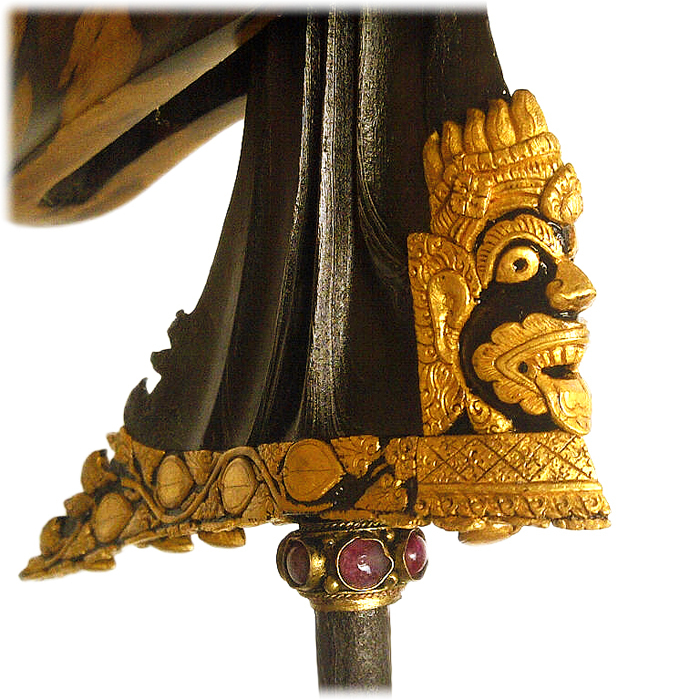 This exclusive keris comes from the island of Bali, Indonesia. Due to the many temples and shrines on the island, Bali is also known as the ‘Island of the Gods’. 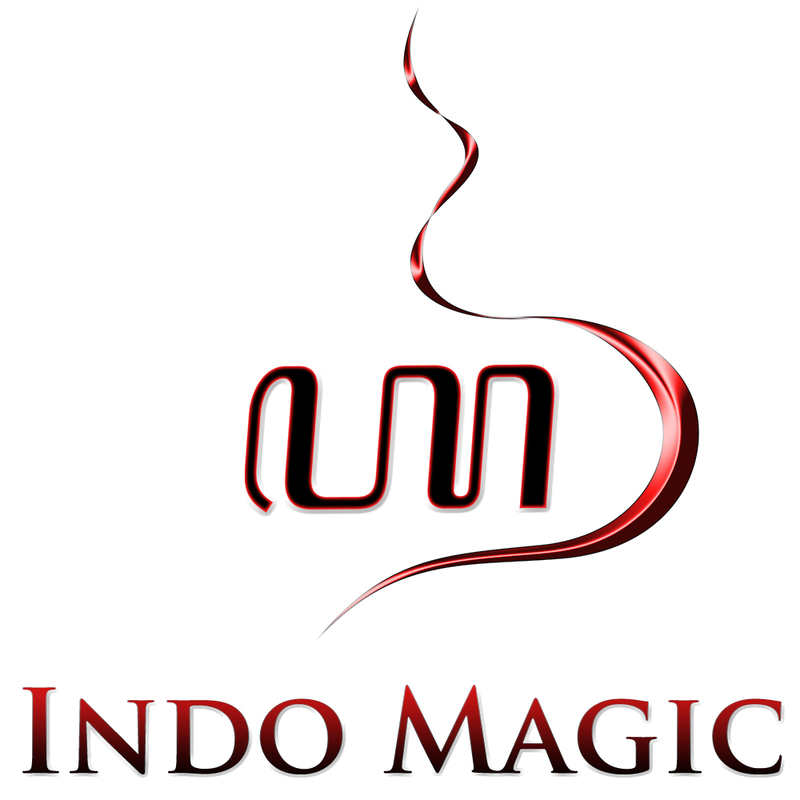 The pantheon in Bali consists of many Hindu gods and Buddhist deities as well as animist spirits. Kala Rao is an eminent deity of the Balinese pantheon, and, as such, plays a prominent role in traditional Hindu beliefs. Originally Kala Rao is called Bhaṭṭāra Kāla, which in Sanskrit means the ‘Lord of Time’. 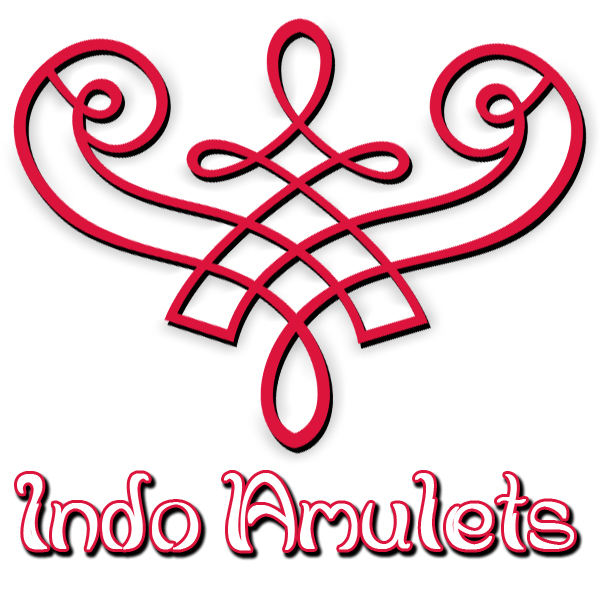 However, in traditional Indian mythology this god is commonly known by the Sanskrit name Rāhu, from which the Indonesian Rao is derived. Rāhu is a so-called ‘asurendra’ (Sanskrit), i.e. lord of the asuras. In both Hindu and Buddhist cosmology asuras are generally described as benevolent demigods (Sanskrit: deva), though in later commentaries (Brāhmaṇas) on Vedic texts the asuras came to be regarded as malevolent giants or demons (Sanskrit: rākṣasa). The dapur of this Balinese keris looks surprisingly similar to the Jalak Sungu Tumpeng keris which once belonged to the Javanese prince (pangeran) Diponegoro in 1886 (now kept at the Welt Museum Wien in Vienna, Austria). In Java, however, the Kala Rao dapur keris model is called ‘Kala Makara’ (Sanskrit: Kāla Makārā). 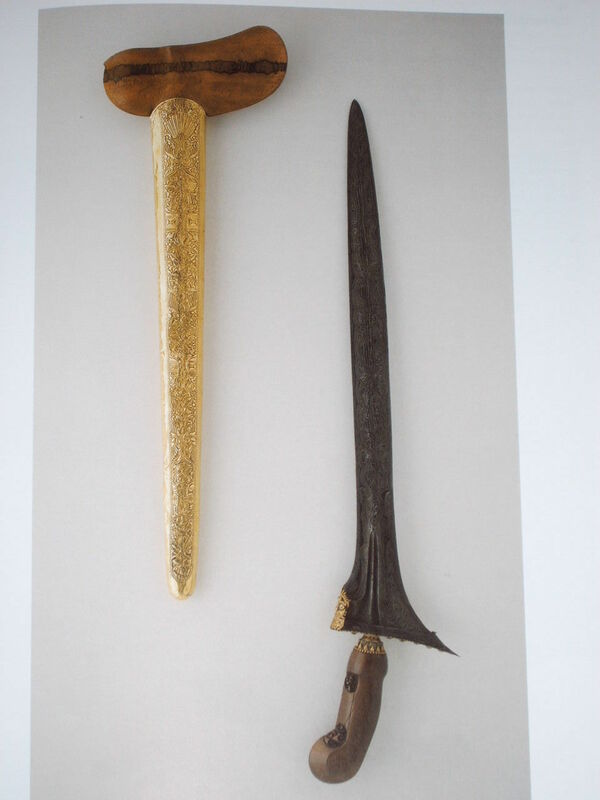 Thus, the Javanese keris of Diponegoro features gold-plated kinatah decoration that represents the same deity as featured on this Balinese keris, though in Java this particular image bears the name of Kala Makara instead of Kala Rao. Apart from the golden Kala Rao image, the kinatah also includes a traditional flower motif covering all sides of the ganja part at the base of the blade. Furthermore, just below the ganja, an antique mendak (keris ring) inlaid with ruby gemstones is wrapped around the pesi (pin). 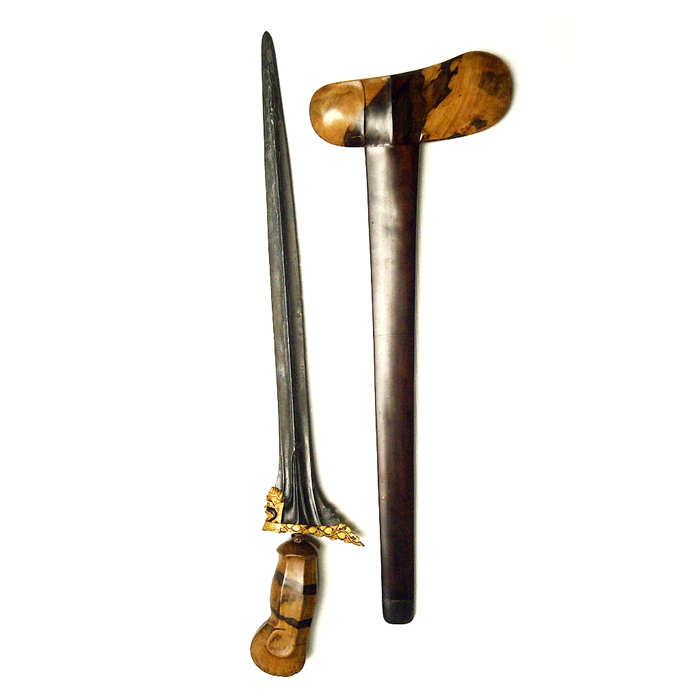 Also, this ancient pusaka (heirloom) is attributed with a wooden danganan (Balinese hilt) which is carved in the traditional cecekahan model. 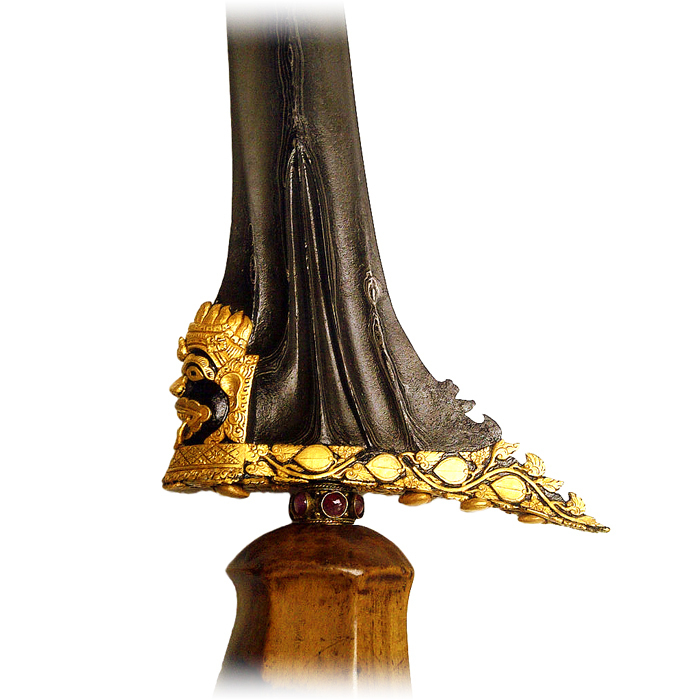 Both the hilt and sheath (warangka) of the keris are hand carved from timaha wood of the highest quality, making this keris a true masterpiece in every aspect. Since Kala Rao is strongly associated with power and control, it is therefore believed that the lord of the asuras can turn one’s luck and fate around. Indeed, Kala Rao’s blessings can instigate a series of fortunate events, leading to prosperity. In addition, through the power of the wrathful asura characteristics all negativity and evil influences can be banished from one’s life. In this context, Kala Rao is also venerated as a bringer of mercy and justice, who can even turn enemies into friends. 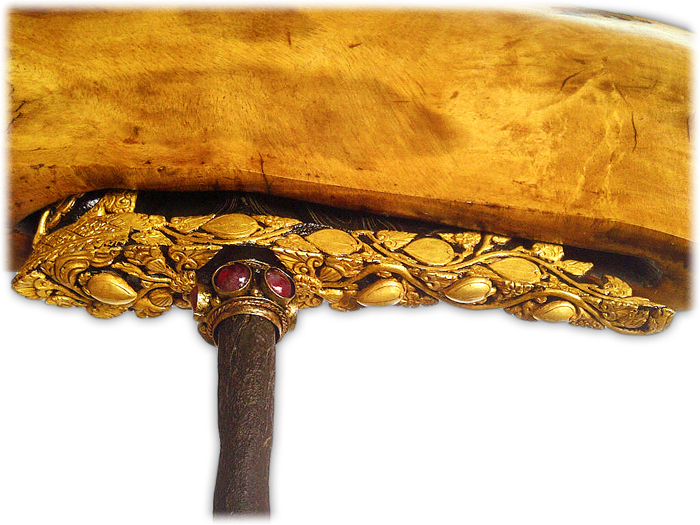 Thus, this keris from Bali is considered exclusive not merely because of the high-end materials from which it has been made and decorated with (i.e. gold and precious stones), but ultimately also because the sacred blade is endowed with the supernatural powers of Kala Rao.